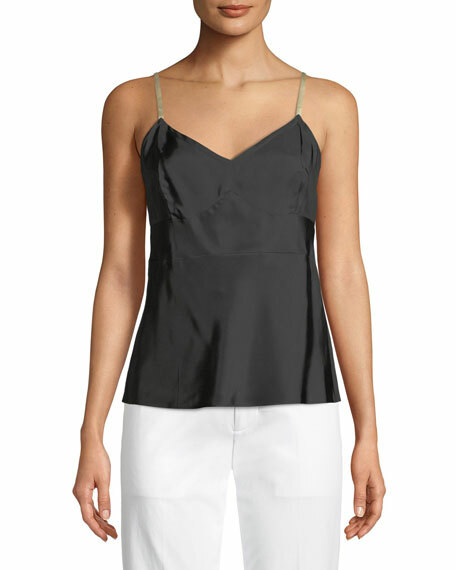 Helmut Lang compact viscose cami. 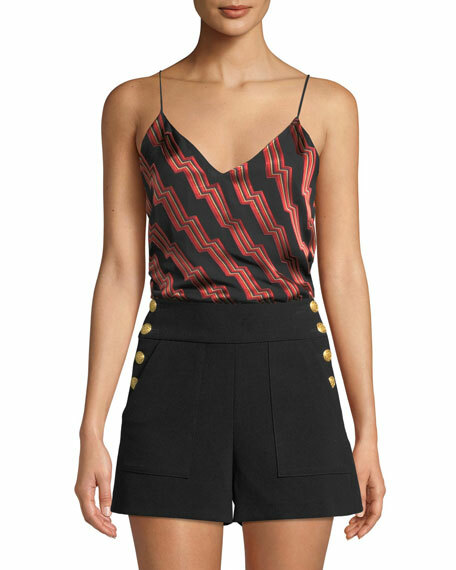 Alice + Olivia "Contessa" cami in zigzag stripes. V neckline. Sleeveless. Relaxed fit. Slipover style. Viscose/silk; combo, silk. Polyester/spandex, lining. Imported. 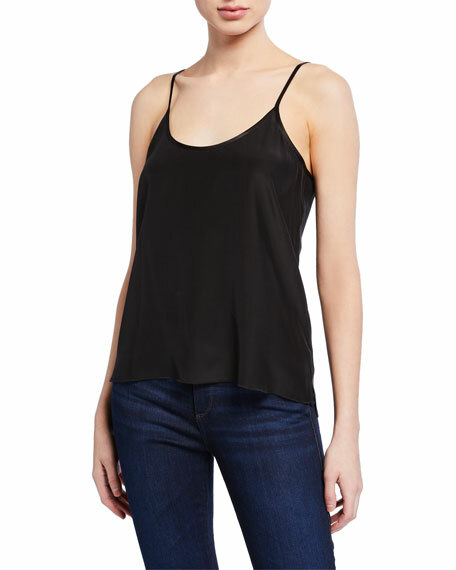 ATM Anthony Thomas Melillo silk charmeuse cami. Scoop neckline; V-shaped back. Sleeveless; adjustable straps. Relaxed fit. Straight hem. Pullover style. Silk. Dry clean. Imported. 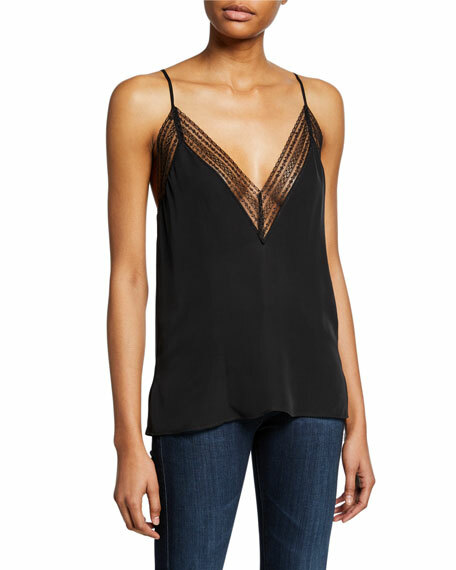 Cami NYC "The Chantry" silk cami with lace-trimmed neckline. Plunge v-neckline; crisscross back. Sleeveless; thin straps adjust. Semi-fitted. Side slits. Straight hem. Pullover style. Silk. Viscose lining. Imported. 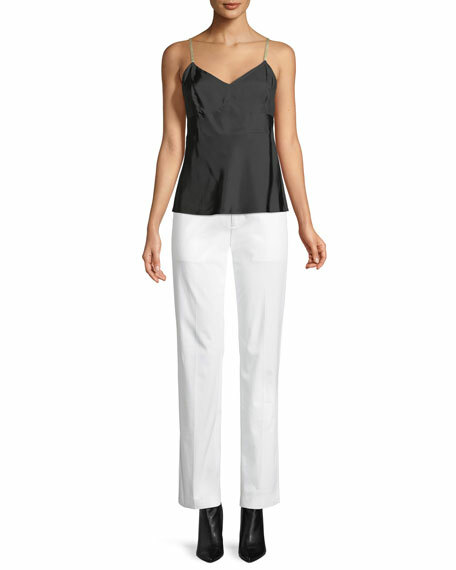 Elie Tahari "Kaija" camisole with geometric trim at the neckline. V-neckline; square back. Sleeveless; adjustable straps. Relaxed fit. Even hem. Slipover style. Polyester/spandex. Imported.